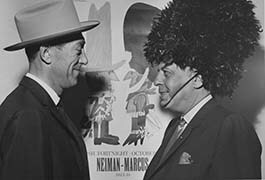 The DeGolyer Library’s Stanley Marcus Papers consist of rich holdings of manuscripts, documents, publications and photographs related to the long, productive life of Stanley Marcus (1905-2002) and the history of the Neiman Marcus store. 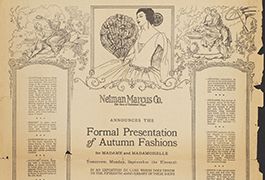 From its inception in Dallas in September 1907, Neiman Marcus geared its business toward providing exclusive merchandise to the discerning buyer, previously only available in Paris and New York. 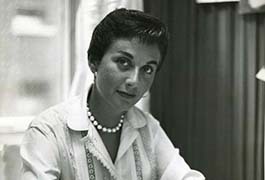 The concept of a high fashion store on a European scale selling ready-to-wear clothing was formed by the three founders: Herbert Marcus, his sister Carrie Marcus Neiman, and her husband, Al Neiman. All in their twenties and without much experience, they seemed an unlikely trio to found the store that came to symbolize the finest in luxury merchandise and customer service. 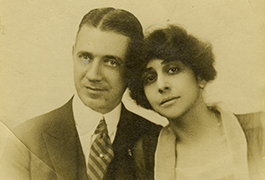 Born in Dallas, Stanley was the eldest of Herbert Marcus’s sons. He attended Harvard University where he graduated in 1925. It was during his years in Cambridge that he began his life-long hobby of collecting rare books. Besides his papers, the extensive Marcus book collection is also housed at the DeGolyer Library. Joining the founders, other family members came into the store business. 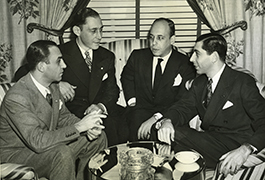 After the Harvard Business School, in 1926, Stanley joined the firm. He was a creative man with new ideas for the retail market. Soon, he conceived the idea of weekly fashion shows, the first in the country, and he introduced bridal shows. Eventually, all four Marcus brothers worked in the store and each made his own unique contributions. To avoid confusion between the many Mr. Marcus’s, staff members started using their first names, calling them Mr. Herbert, Mr. Stanley, Mr. Edward, Mr. Herbert, Jr. and Mr. Lawrence. 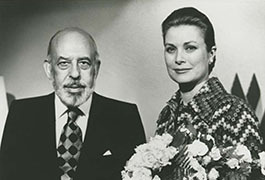 In 1938, Stanley inaugurated the Neiman Marcus Award for Distinguished Service in the Field of Fashion, bringing European and American fashion designers and women of style to Dallas. 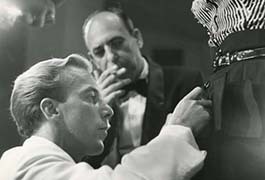 Called the “Oscars of the Fashion Industry,” among others the Neiman Marcus Fashion Awards were given to: Coco Chanel, Yves Saint Laurent, Christian Dior, Salvatore Ferragamo, Emilio Pucci, Pierre Balmain, Grace Kelly, Cecil Beaton, Estee Lauder, Valentino, Bill Blass, and Oscar de la Renta. 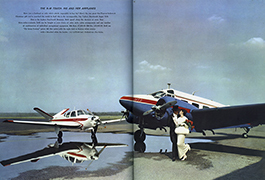 For the 50th anniversary of the store, in 1957, Mr. Stanley had the brilliant idea of bringing international culture to North Texas in the form of the first Fortnight event celebrating France. Almost overnight, the downtown store was transformed complete with a French theme and products throughout, and Fortnight was an instant success. Besides culture, fashion, and fun, the educational aspects of the Fortnights were equally important to Stanley. Fortnight, focusing on different countries around the world, continued to be a much-loved annual event in Dallas into the 1980s. Stanley Marcus was an intelligent, cultured man with innovative business instincts. He had a wide array of interests, knowledge and world-wide acquaintances and was an important citizen in the changing city of Dallas.